Edu2Review, AntBuddy, Btaskee,… and the others listed as top 10 of the best tech start-up companies in Vietnam in 2018-2019. 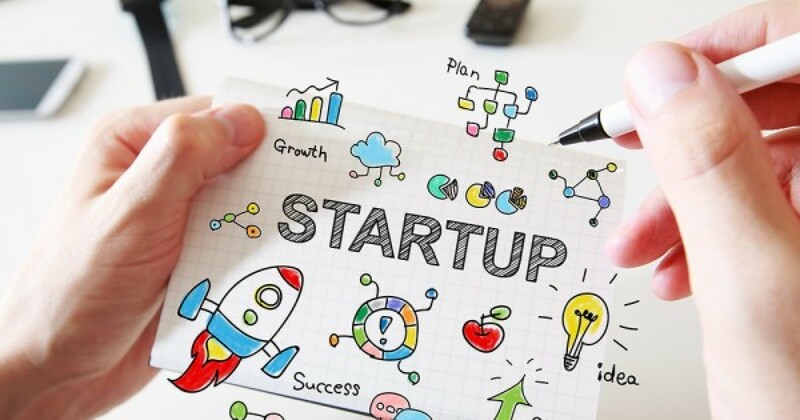 The development of quantity and density of the start-up companies in Vietnam has built the strength of the start-up community, makes Vietnam become the country of startup. If you are investing in Vietnam’s start- up, consider one of the top 10 potential startup companies, who have been recognized for winning top prizes in startup competitions across Vietnam. EKID Studio Group is a software development company specializing in virtual and augmented reality creating games and smart educational devices. It is one of the startups which received investment from Vietnam Silicon Valley Project and Business Accelerator educational program. This startup has won the first prize in HATCH! BATTLE 2016.Their product is a augmented reality flashcard game that children can interact with for fun, self learning. Although this startup failed to receive the investment on Shark Tank Vietnam, no one can deny its potential in the near future. Edu2Review is one of the EBIV Brand, focusing in education review, this is a platform connecting millions of learners with thousands of schools, english centers accrossing the country. The key advatages of Edu2Review is providing the trusted verified information to community, each month, more than 1.000.000 learners access the website to write, read the review and book the courses. Edu2Review has won First prize in the Startup Wheel program in 2016, the Second prize in HATCH! BATTLE 2016, one of two companies selected to represent Vietnam in SLUSH 2016 in Finland and one of the five outstanding projects in APEC 2017. Edu2Review targets in 2018 is to expand nationally, this startup also successful raised the seed round with Singapore venture based fund in December, 2017.
bTaskee is an on-demand home cleaning maid service supplying cleaners to 1000’s of customers across Vietnam. Btaskee is popularly known as the “Uber for cleaning industry”. bTaskee app helps customers to find and connect with cleaners in a short time, evaluate and review to improve the quality of the service. AntBuddy provides a cloud based communication solution for small and medium companies. This service includesa comprehensive CRM with customer care, customer information management, and connection of internal and external communication channels on an integrated, continuous and synchronous system. EyeQ Tech was awared the Frist prize (Entrepreneur) in Startup Wheel 2017, for its smart camera system that helps to analyze the gender, age, and action of the customer with the 95% of accuracy. EyeQ Tech is a B2B solution that helps retailers identify the quantity, gender and age of customers in the store. Moreover, this smart application observes the habits of customers using historical data to measure the frequency and timing of customer’s visit… EyeQ Tech is being used across coffee shops in Ho Chi Minh City. Surful project- Interactive surface technology, virtual reality surface, the smart surface has won the First prize (Individual) in Startup Wheel in 2017. Surful technology changes any normal surface into a smart surface like smartphone screen or tablet screen. Their product has not available for purchase. Surful is searching for investors to bring a commercial product to market. This project won Second prize in Startup Wheel, for designing, developing and setting up an industrial robot system for SMEs in need of mechanical automation. Ownership of industrial robots technology will create a suitable solution both in terms of technology and investment efficiency, thereby solving the limitation of robot application in Vietnam. GaraSTEM is an education solution, which supplies science-based learning kits to stimulate curiosity and help children develop STEM (Science, technology, engineering and mathematics) skills. With the achievements likes First prize in HATCH!BATTLE 2017 and Creative Bussiness Cup 2017, GaraSTEM will represent Vietnam to take part in the international competition in Denmark in November 2017 and the April 2018 in Switzerland. This startup won the Second prize in Startup Wheel 2016. It is an app for reserving a car for Vietnamese. Unlike Grab and Uber, Go-ixe doesn’t directly provide the transportation service, but rather provides the platform to compare services and book transportation company with the customers. The Go-ixe software provides services such as Go-bike, Go-taxi, Go-car, Go-travel, and Go-share…This startup helps traditional taxi brand improve the service, price and technology information app to compete with the “Giant” of the car services in the Internet Era. This project has won the Third prize in HATCH!BATTLE 2017, with the idea “bring the drunk home”. Similar to US company StearClear and Canada’s responsible choice, Ban Uong Toi Lai is a service that will drive you and your car home when you’re too drunk to drive. It can be seen as one of the solutions to decrease the rate of traffic accidents in Vietnam. After the customer inputs the destination and address, drivers will appear, use the car of the customer and bring him/her home. The price of each trip will be shown before the customer arranges the service, based on the time of each trip. You just have to pay the exact amount of money and enjoy a safe ride. These 10 startups have achieved outstanding achievements in 2017 and have potential to develop more. In a fast growing, highly dynamic market like Vietnam, the opportunity for technology centric businesses is massive.With the fast-growing innovation of these startup companies like EBIV, EyeQ Tech, Surful,…Vietnam promises to become a market attracting more foreigninvestment to its market.